Social evils come in the society, When rights of the poor not given to them. 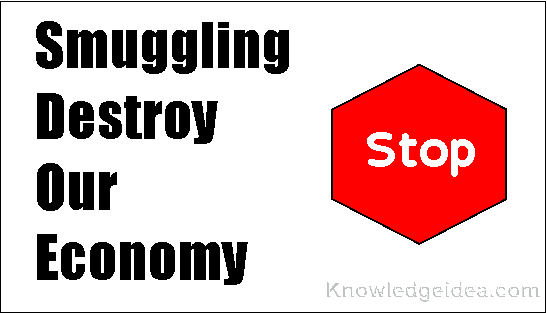 Social evils destroy the economy of the country. It became a serious crime. Social evil grow because of poverty and unemployment. When people find no source of income then they found only way of earning through social evils. Social evil grow in the society like diseased tree that no one have courage to cut done. The carries of social evils are human beings. 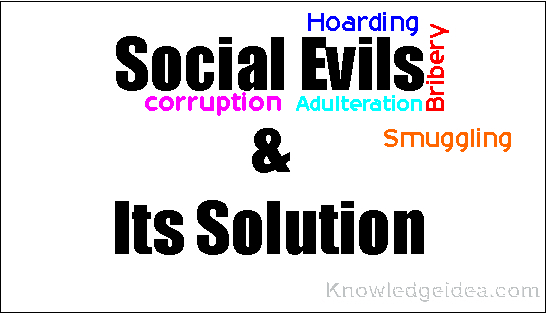 There are many social in our society but we discuss the most common social evils like bribery and corruption, hoarding and black marketing, smuggling, adulteration, injustice. Firstly, We see that bribery and corruption are growing up speedily and development in the government department like, offices, law, police station and other places. Where people go to solve their problems. When they go in the government department for their small problems that time some government officers demand for money from people and says that it is gift not bribery. Due to bribery people face number of problems. Bribery doesn’t thrive the common people. 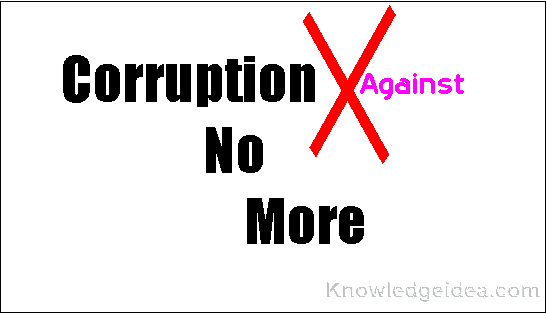 Bribery is stopping the way of progress, development, equality and thought of better future. Some rich people and heavy industries fed up the money to government department for their personal work. From this way, rich people progress fast and they became richer get richer. On the other hand ,poor people don’t progress due to bribery and they became poor get poorer. Sometimes, Some people fed up to government department for some ordinary matters like a new connection of electricity, sanction of building plans for houses. Secondly, hoarding and black marketing are the harmful roots of social evil diseases tree and these roots are growing speedily in our society and in this world. Now a day,everyone have an aim, that is,he want to get money. For this purposes he adopt wrong way of progress. For to get money quickly the some big traders and the owner of heavy industries hoards huge quantities of daily use products like sugar,wheat. grain, onion, potatoes and other things of daily use. Sometimes, they hoards some medicines and they don’t supply in the market, When they see that, these medicines are not available in the market then, they sell these medicine at higher prices. Thirdly, smuggling is the injurious social evil like bribery, corruption,hoarding and black marketing and this social evil growing easily like previous social evil. Due to smuggling economy of any country face the condition of loss. For example when people are smuggled foreign goods into the country on a large scale. Therefore the large industries,local industry and agricultural suffer. These people sell foreign dump goods at lower prices and sometimes, they sell at higher prices. Other countries sell their dump goods at lower prices to capture foreign markets. The small traders can’t sell these types of things easily. If the small traders sell dump goods so, government close up their business. We can escaped large loose,if the government of the country good take steps for the progress of country. Fourthly, adulteration is the harmful social evil and this is injurious for the lives of people. We can say that,when we read about the different kinds of social evils, we feel that,human is worse than animals. He is avaricious animal and selfish. He can does any work for his benefits. He want to get money from any way and sometimes, he forget that his way of earning is good or bad. In this social evil some people and traders mixed cheap and harmful commodities in the daily use things like milk, pulses, flour, honey, spices and many other things. They play with the life and health of the people for the money.Just for money they sell some foods and drinks whose are injurious for health like wine,many soft drinks and ice cream sold by street vendors. We know that social evil like a diseases tree but we can escape from this. If the poor people get their rights, equality, justice and unemployed graduated get good jobs etc. From this way, we can live happily in this society.